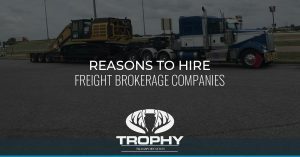 For our freight services blogs, we will provide some background information on what exactly freight brokers do as well as how our freight brokerage company goes above and beyond to be a Top Rated National® transportation broker. Backed by a nationwide network of trusted industry partners, we provide our clients with streamlined freight transportation through one point of contact while we connect them with local experts as their freight is shipped anywhere in the country. 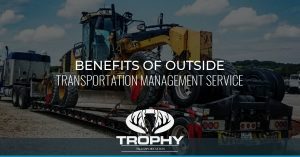 Find tips and tricks to streamline your freight shipping in these blogs and give us a call to learn how Trophy Transportation can help make getting your goods and equipment from point A to point B with ease.